¡Bienvenidos! Welcome and thank you for joining us here! We are a US American family that moved to Mazatlán in 2008, just as our son graduated primary school and was entering middle school (junior high). Greg left a great job, and Dianne brought her consulting business with us, primarily in order to give our son Danny a second language and the experience of living life as a minority. We have learned a lot, and we continue making mistakes, enjoying our lives, working hard, and learning more every day. Please comment on any of the posts, as it encourages us to know your opinion and interests! Contact us at hola@vidamaz.com. A great piece. Looking forward to reading more from your blog. You should be linked with The Mazatlan Messenger. Thank you, Jack. Always glad to hear when someone let’s us know our hobby helps or informs. Mazatlán Messenger does great work. We are blessed in this town. Hello Dianne, My family has been following your blog for the last few months. Friends of ours live in Mazatlan and have continually invited us down over the years. This year we decided to take them up on their offer. We are now in Mazatlan enjoying carnival with our 7 y.o. Thank you for sharing your joys of living in Mexico and the gifts you and your family have received from your experience. How wonderful to be down here with a seven year old! Such a terrific learning experience, to be overseas, to get to know people who think and live differently, and to see the joys of a huge community party that is fun, family-friendly, and safe. Glad you could make it. Thank you for letting us know! I came across your blog and find it interesting and informative. We are looking into moving to Mexico and just want to reach out to other expats. We have been narrowing down our search and Mazatlan seems to keep popping up 🙂 Do you know of some nice communities that are in the area that I could research ? Kind of would like to be more on the outskirts of a city rather than right in the thick of things, we are also thinking of building a home. Any info would be appreciated. There are many beautiful small communities and towns near Mazatlán. You can search some of them via the Menu on our blog here. You sacrifice the arts and entertainment, but you gain the small town or rural experience. Pay attention to services you may need: medical, emergency, police, etc. There are expatriate forums that may help you as well. Good luck! We absolutely love living here. Good evening. Thanks so much for creating this blog. I’ve been reading up on all of your wonderful experiences and I feel like I’m right there too. I am a single mom from The Bahamas with a real travel bug. Like you, I’m giving serious thought to relocating in 2 yrs with my now 9yr old son when he enters 7th grade. He already loves the Spanish language and was intrigued with Mexico since visiting Cozumel last year. Any additional advice on finding reasonable/safe housing just outside the main tourist zones and easing the transition for my son would be greatly appreciated. I will be looking for a job teaching English (preferably in a day school setting so I can be home with him in the evening). Thanks again. It will be a wonderful opportunity for both of you, Samantha! If you come on a scouting trip, we are happy to set you up with friends who do rentals. Or, if you prefer, email us at greg@vidamaz.com, and we can connect you with a realtor or two via email. Housing is very affordable and safe here in Mazatlán. Happy to help in whatever way we can! Hello, My name is Bill Hurley and I am vice president of the Seattle Mazatlan sister cities Association. Although the association has been dormant the past few years, We have a long history with Mazatlan dating back to 1979. We are looking for new members to help revive the great relationship we had with the city of Mazatlan. Could you please help us by spreading the word with any of your friends in Mazatlan from the Puget Sound region Who might be interested in such a venture? – Student exchanges with host families in Mazatlan in Seattle. – Hosting the delegation from Mazatlan for the Seafarer festivities in Seattle, including The Carnival Queen marching in the Seafair parade. – Bringing the Roosevelt jazz band to to perform atthe Angela Peralta Theater and El Quelite. – Installed computer labs at the boys Orphanage, El Quelite, and El Quemado. Any help you can provide will be appreciated. Feel free to call me or give out my phone number to those who might be interested. We are thrilled to be able to help your efforts, Bill. We’ve just posted to the VidaMaz group on Facebook and Twitter, as well as here on the blog. We do hope your venture can regain its legs and do good for people! Best wishes! 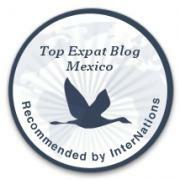 Thanks for stopping by and commenting on my blog post about Mazatlan. i appreciate your comment, and will correct the part we discussed. Feel free to check out my other posts on Mazatlan, specifically our most recent trip in 2015. We had a great time there. Thank you so very much, Eric! We’ve updated it and appreciate your letting us know! My name is Mike Cram.Your blog is great. I came across and got a kick out of your Trump piñata video. clip of your video in our video. $100 to your choice of a Mazatlan charity. $100 to the Desayuno de los Pollos (donate button on the right column of home page of VidaMaz.com) sounds great. You have my permission with this payment. Good luck with your product, Mike. Hello Dianne: I’m excited that I found your blog. Can I ask for some advice? I’m a long time visitor to Mazatlan and have always rented homes from Pat Smith in the El Cid complex. Well times change and lately I’m not so interested in golf anymore but more in just living and enjoying Mazatlan. So here is my latest maybe crazy thinking! I’m wondering about opening a B&B. It’s not about making a living as much as it is having something to do and meeting people and entertaining. So I’m going to ask you for an opinion. First question would be Is this a good idea for an expat or will I meet a lot of obstacles from the government? In your opinion would the location be better in Old Town or nearer the Gold Zone back in the neighborhood? I’ve never driven down from Montana but this year I was thinking about doing that. Will I meet any problems if I take on that adventure? How easy is it to buy and own a home? I’ve located a place in old town that could fit the bill of a B&B but of course like my question above wondering about Location? Hope you can find time to reply. This is Greg answering for Dianne. You have asked some great question and I am happy to hear the excitement in your online voice. There are many expats in Mexico doing what you want to do. There are a few in Mazatlan as well. Will there be obstacles from the government, yes! You will need to bring your patience, your best language skills and be flexible. It often helps to have a local to help you. You will need an accountant and an attorney of course. Centro Historico and the Golden Zone are both good locations. Ask yourself, where do you want to spend your time each day and you will have your answer. We have driven back and forth to various points in the United States around a dozen times without incident. You can spend some time on the Internet collecting best practices, but most important, don’t drive at night, try to use toll roads and pay attention to your surroundings when you stop. It helps to drive with someone else in the car, although I have done it alone with no problems. Your visa status is important here as it will determine if you can bring a car into Mexico, on a temporary or permanent basis. A visitor can get the permit in advance through the mail saving a lot of hassle at the border. A little Internet sleuthing will point you in the right direction. Residents bringing in cars is more complicated. Don’t rely on hearsay – be sure you have the right answer should your visa status become permanent. Buying a home in Mazatlan is very straightforward. You will want a good real estate and a qualified Notario (special kind of lawyer, not to be confused with a notary in the States). The Notario will help you get a bank trust to hold the title to your property. There will be an annual bank fee associated with this process. There are many expat real estate agents in Mazatlan. They have websites, Facebook pages and some send regular emails to your inbox. I would recommend you reach out to a few of them and find the one you feel most understands what you want to do. One thing you did not mention, but I will, is that you will need to decide who your target market is. Do you want to work just with foreigners, or Mexican Nationals as well? Your language skills come into play here as well as having to endure what can be a long hot summer in Mazatlan as that is when the Mexicans come to play at the beaches. If you rely on foreigners you will not have year-round business. I find this all very interesting. Looking forward to hearing more about the opening of the b&b. Wondering if it will be in old town or the gold zone. I am a Japanese American living in Los Angeles. Recently, I discovered an ancestor migrated to Mazatlan about the same time my grandparents came to California. Do you know of any association that might be able to help me locate any descendents, if there are any? I saw your post about the Nikkei convention, it looked like it was a lot of fun! Welcome to Mazatlan! I’m confident you’ll love it here. I would contact Eunice and crew at the Estero del Yugo on the northern end of Mazatlan; just search for that name on our blog to see and read more. Their guides can give you a great birding tour. You can enter “birds” or “whales” or whatever in our search bar and find lots more ideas. You will LOVE the nature we have down here! Enjoy! Thank you so much for this information! This will be our first trip to Mexico and are very much looking forward to it! Wow! You will most definitely fall in love, I’m guessing. Enjoy! I’ve been following through a friend’s shares. I like to be able to see what your doing. The posts I’ve seen are amazing. We are glad to know the posts are of value. Thank you for letting us know!